Samet island is only 2 hours drive from Bangkok, therefore, it’s pointless to try to get there by plane. 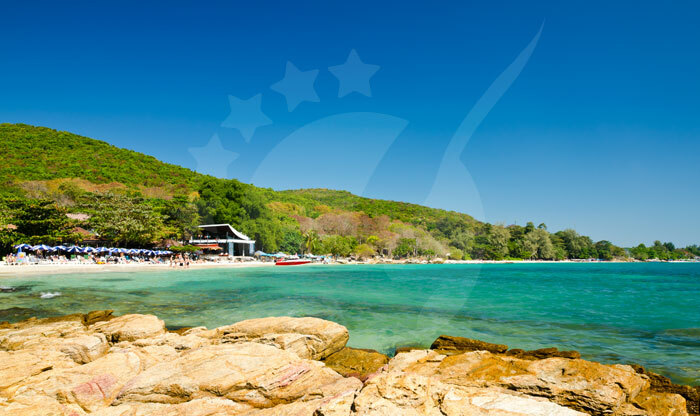 Koh Samet is a small island and doesn’t have an airport on it so how exactly can you get to this beautiful island? I’ll tell you all the options and you can pick whatever suits you best. The first option is to fly to the nearest airport which is U-Tapao Rayong-Pattaya International Airport that serves both Pattaya and Rayong cities. You can fly there from Koh Samui, Phuket, Kuala Lumpur, Shanghai, and many more.... Read More Samet island is only 2 hours drive from Bangkok, therefore, it’s pointless to try to get there by plane. Koh Samet is a small island and doesn’t have an airport on it so how exactly can you get to this beautiful island? I’ll tell you all the options and you can pick whatever suits you best. The first option is to fly to the nearest airport which is U-Tapao Rayong-Pattaya International Airport that serves both Pattaya and Rayong cities. 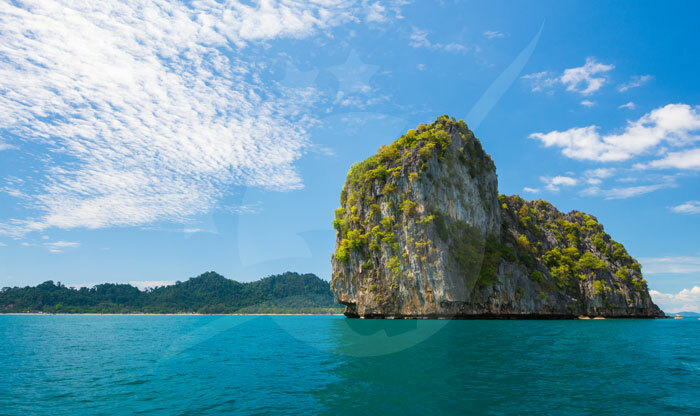 You can fly there from Koh Samui, Phuket, Kuala Lumpur, Shanghai, and many more. 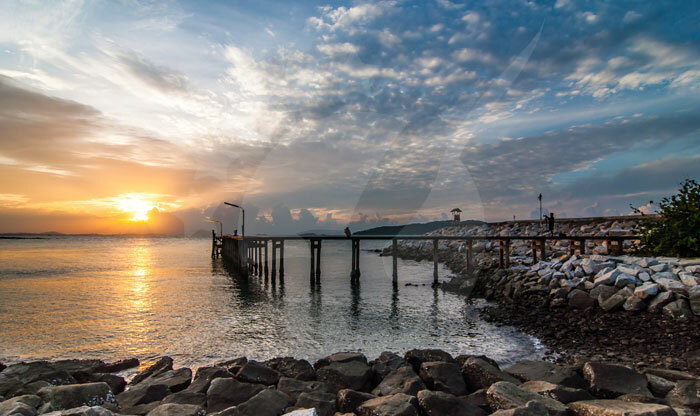 The second option is to take a private minivan or a taxi from the capital to Samet island, the driver will pick you up from any place or hotel in Bangkok and take you directly to the Baan Phe pier in Rayong. The third option is a much cheaper option, you can buy a bus/minivan + ferry joint ticket and the bus/minivan will pick you up from Chakka Phong Road-Thai Siriram Office to Baan Phe Pier in 4 hours and 15 minutes. 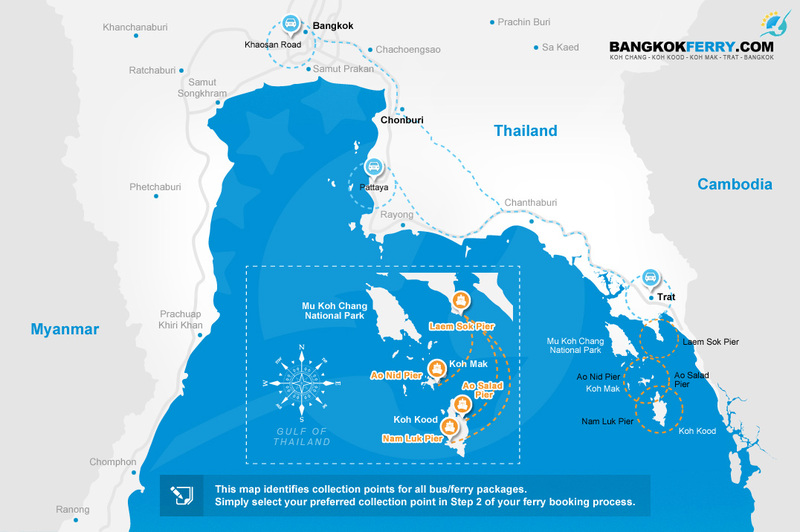 From Baan Phe Pier, you’ll get on a ferry and reach Koh Samet in only 45 minutes. 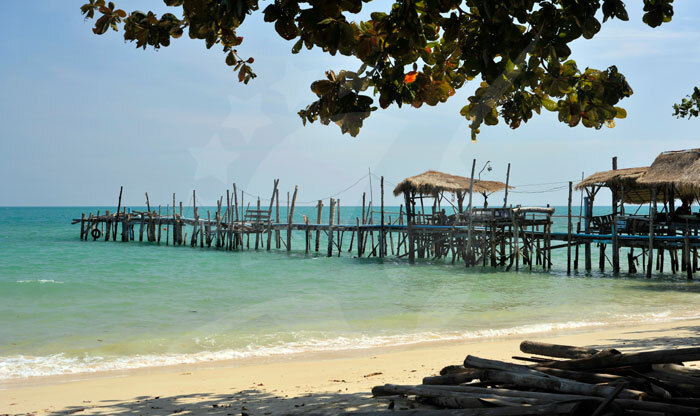 Koh Samet was named after the “Samet” trees, a Thai word for “Cajeput” trees which grow in abundance on the island. Samet has less rainfall than the other destinations in Thailand. 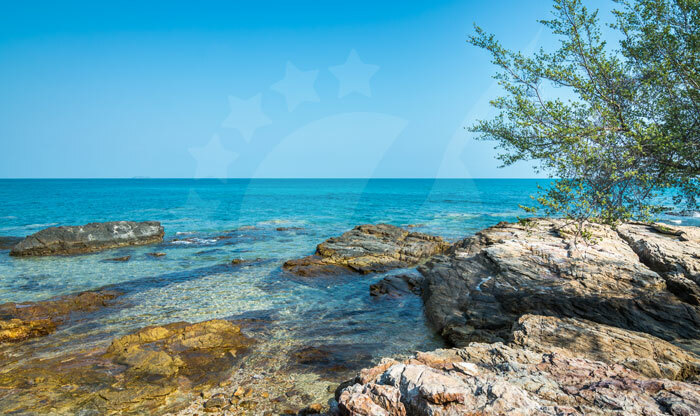 The island is known for its crystal clear water and its beautiful nature. 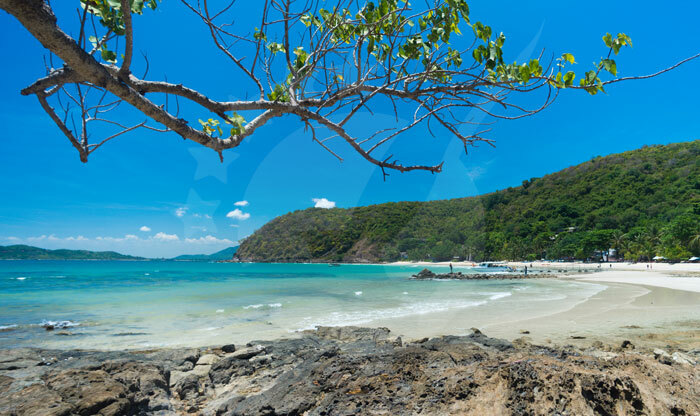 Koh Samet is an escape for the locals who live in Bangkok and an amazing destination for anyone who wants to hit pause from the crowd and chill. 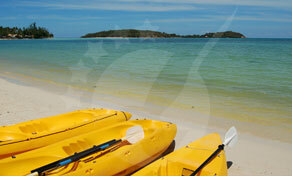 Paddle at your own pace around the beautiful island of Samet via kayaking. 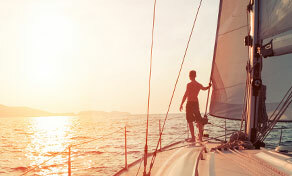 It’s a fun way to explore the remote beaches south the island and its picturesque coastline. Kayaking is eco-friendly as it has no engine, you will be the engine. You will be hearing the sound of your paddle through the water, the birds, and your own heartbeat. 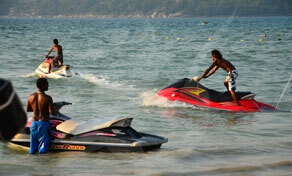 All popular beaches on Samet Island can rent water sports equipment for you including the motorized ones like jet-skis. You can easily find these amazing equipment on Ao Phai, Ao Vong Duen, and Sai Kaew. Try to photograph your jetski before using it as they may claim that you scratched down the sides just to rip you off. 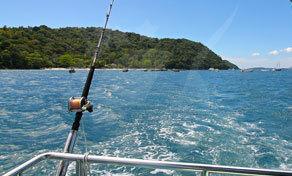 Fishing is one of the most exciting activities to do on Koh Samet. The island is home to a rich diversity of fish like grouper, dorado, trevally, parrotfish, and much more exotic fish to catch. The fishermen will have all the necessary equipment so don’t worry you don’t have to bring anything with you. 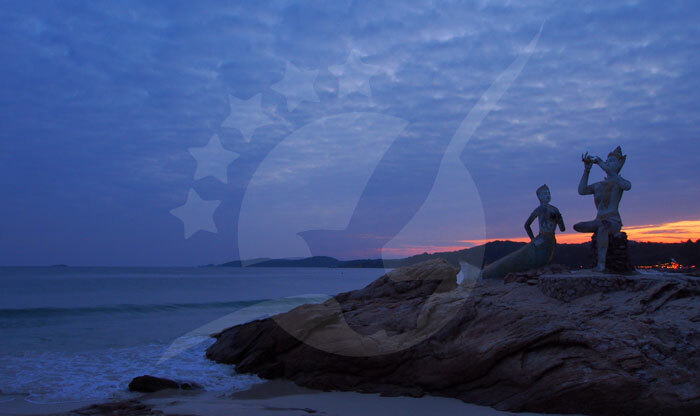 Watching the sunset in Koh Samet is an amazing experience that you definitely don’t want to miss. And to make these few minutes unforgettable, go on a sunset cruise and watch the stunning view of this beautiful island while catching the most amazing moment of the day from the middle of the sea.